A review in 10 words (or thereabouts): Girls can be good at science, and get the guy without being too cliche. I think I'm going to forgo the "Awesome - Not Awesome" today for some good old-fashioned gushing. I liked this book. A lot. I didn't expect to like this book, really, even though it kind of screams "Emily you will love me!" from the description. The cover is a bit cheesy. The plot is extremely predictable. And the main male character is named Grayson. But I loved it. It was exactly what I needed to read during a difficult week. Kelly Oram keeps great pacing going between the two main characters, and her dialogue is extremely entertaining and relatively believable. The characters are endearing, even when you want to flick them between the eyes for being a bit annoying, and while the ending is no surprise, you can't help but cheer on the hopelessly awkward teens as they make a love connection. Like most of the movies I thoroughly enjoy, I don't need profound moments and artsy-emo characters to keep me entertained. I just need a story that draws me in and an author who knows what he or she is doing. The Avery Shaw Experiment delivers. 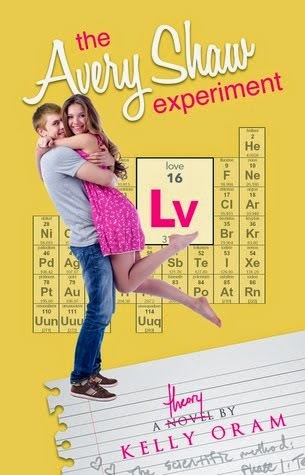 For a fun, light summer read, you can't go wrong with this rom-com teen novel. Sounds light and fun - perfect summer reading!